I previously featured the writing desks you can see at the very bottom of this photo. 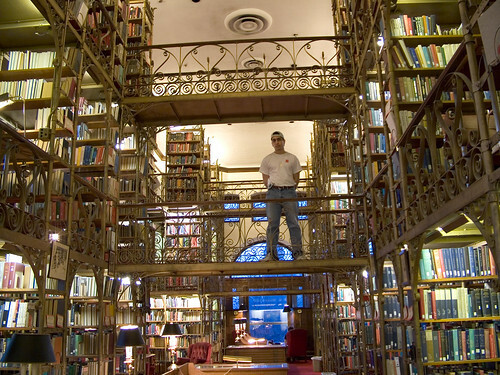 This is a wider view of the Andrew White reading room in Uris Library at Cornell. It has a somewhat magical and surreal feel to it. Part of it is from the fact that walkways are everywhere and part of it is the lighting. It’s a pretty awesome room to be in and looks like something out of a Hollywood set.